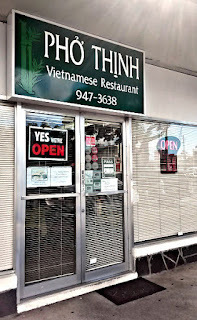 Pho Thinh is located on S King Street in Honolulu, Hawaii. 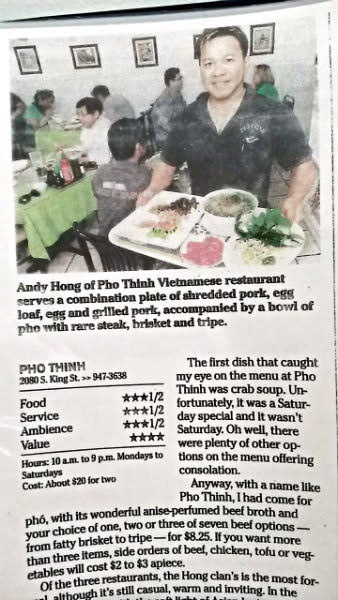 If anything, parking might be a premium if you want to go here. 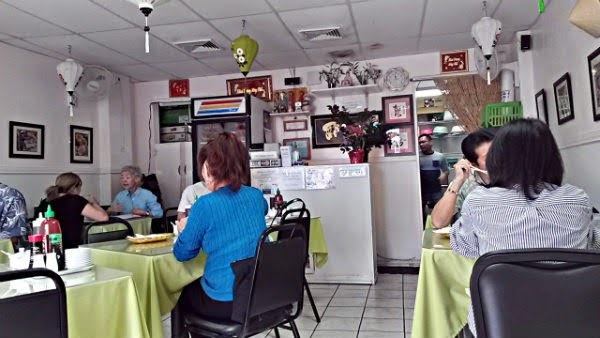 There's maybe 5-6 stalls in their small parking lot, and otherwise it will be metered parking on the street. 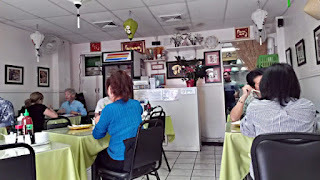 Nonetheless, my mom suggested this place, so you know I had to try it for myself. 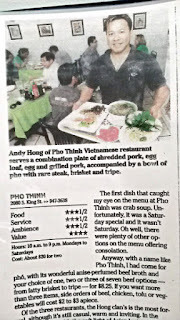 Pho Thinh had a very favorable food review in the local Star-Advertiser newspaper a while back. 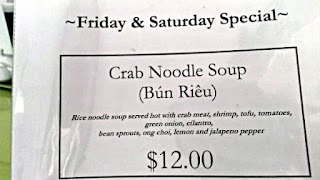 My mom told me to get the crab pho ($12), their special on Fridays and Saturdays. 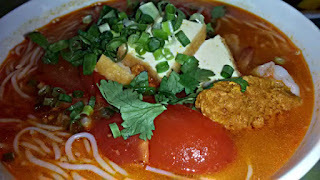 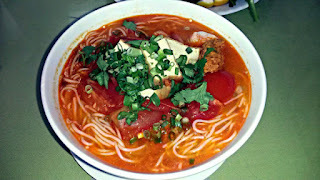 This rice noodle soup is served hot with crab meat, shrimp, tofu, tomatoes, green onion, and cilantro. 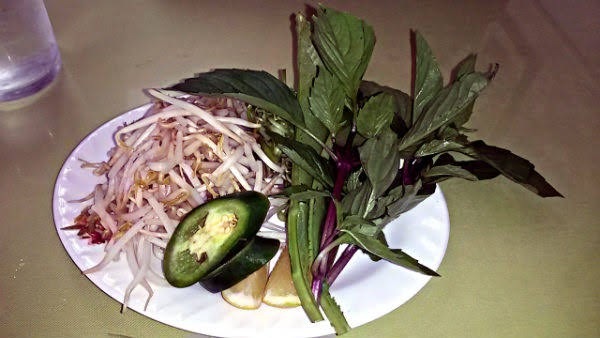 It comes with a separate plate of bean sprouts, ong choi, lemon, and jalapenos. 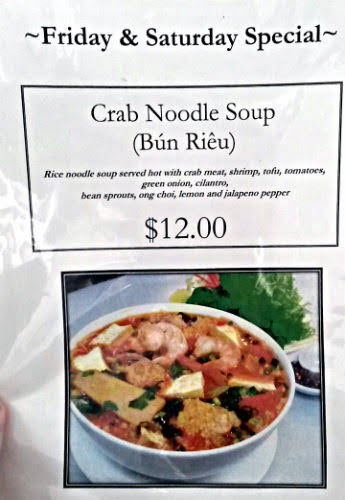 The broth is likely a seafood broth (possibly crab?) 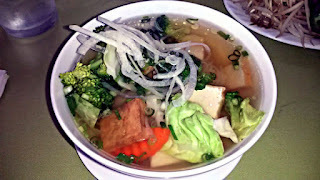 as well, lighter than the usual beef broth pho is known for. 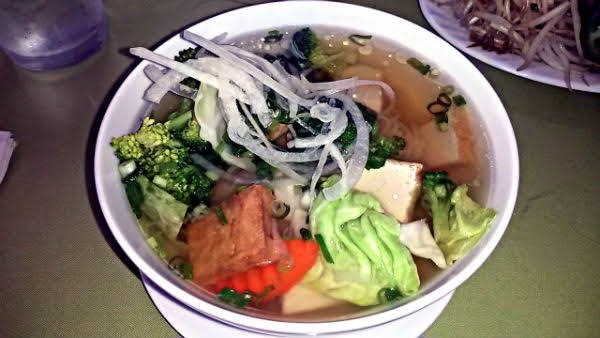 The broth is what makes pho a good one, and this broth was dang good. Light and flavorful. 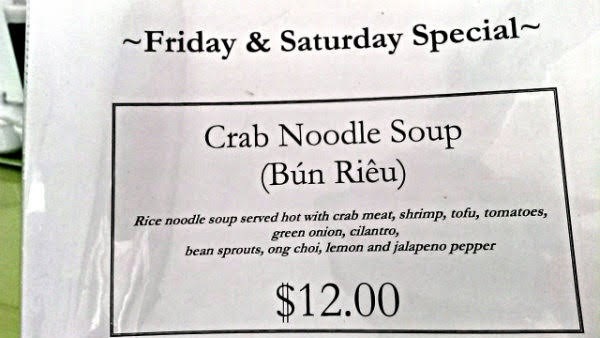 Just a dollop of crab meat in this one, with maybe 3-4 shrimp. 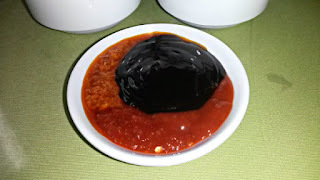 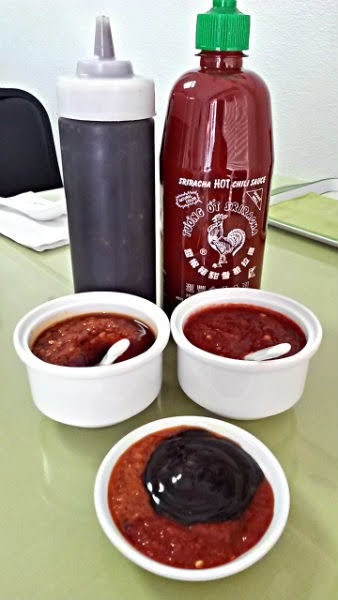 After adding some sambal and sriracha, with a couple jalapenos, that spiced this one right up. Also can't forget the basil and sprouts. 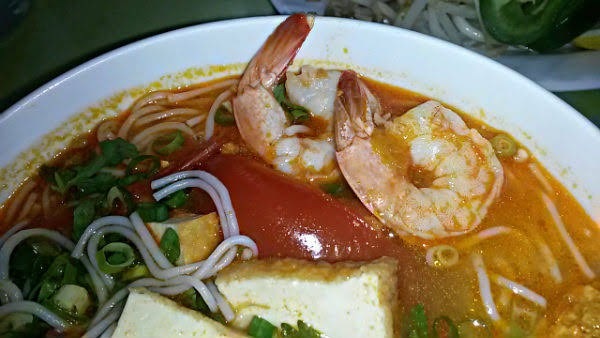 My mom got the vegetarian pho, which also packed some great flavor. 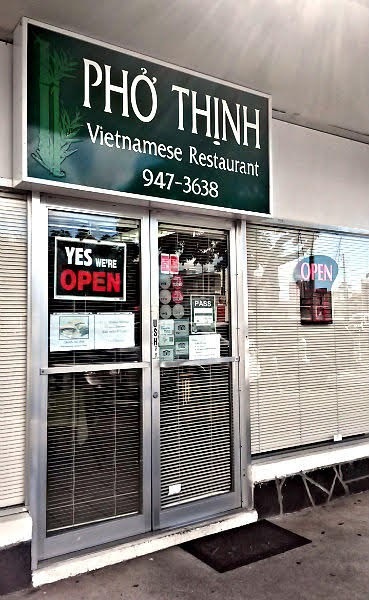 This place probably has fewer than 10 tables, and even with a good number of patrons in there, my pho arrived within 5-7 minutes after ordering. 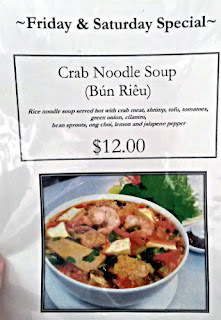 The menu also has banh mi, spring rolls, and the usual pho options, so if you're not coming in on a Friday or Saturday, I'd recommend the regular pho for starters.